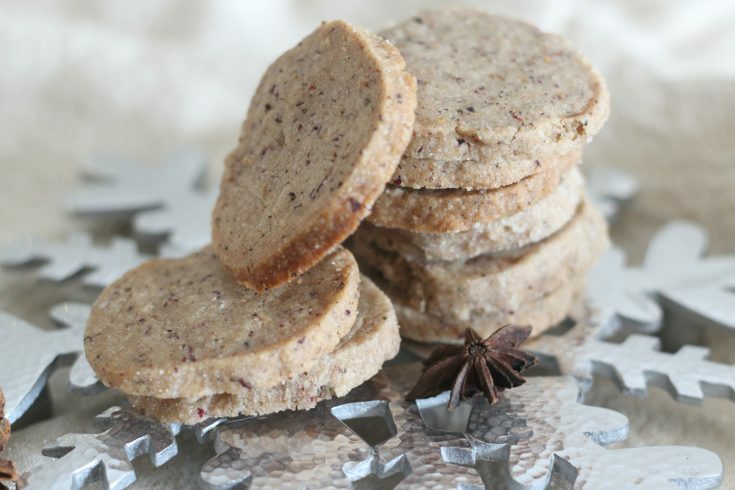 Peppercorn chai shortbread cookies are reminiscent of spice cookies, but with a grown up flavor and a little punch of peppercorn and chai. RawSpiceBar was kind enough to send some spices, including this peppercorn chai blend. 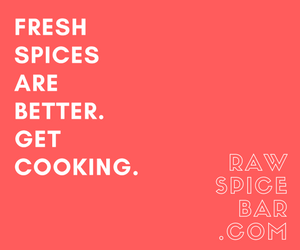 RawSpiceBar is like a subscription box for spices. 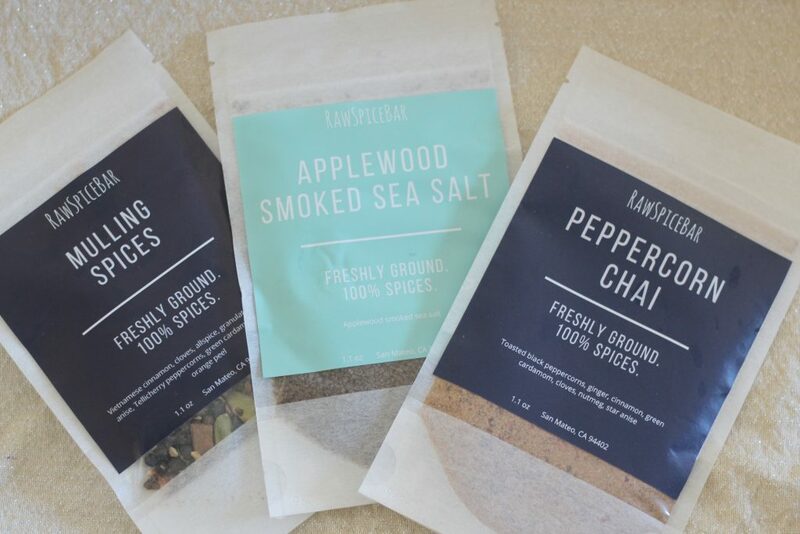 With a subscription you get six freshly ground, seasonal spices and blends. They arrive in these sealable bags, so they stay fresh. I cannot wait to try the Applewood Smoked Salt and I’m going to do something amazing with those fragrant Mulling Spices! Did you know you can win a years subscription to the RawSpiceBar? Yep! Along with a bunch of other prizes too! Just enter the giveaway on the 12 Days of Blogmas post! Okay, back to the cookies. Don’t be afraid of the peppercorn in the peppercorn chai spices, it adds just the right amount of flavor. 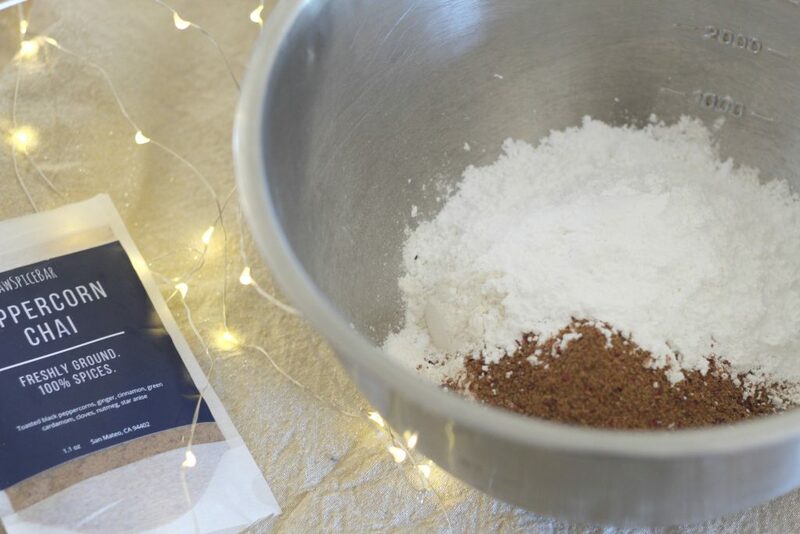 This spice blend is fantastic and screams the holidays! With this recipe, it’s best to combine the dry ingredients together first, so that the spices and sugar are evenly mixed! When you add in the butter, the dough is going to appear crumbly, but don’t fret. It will come together once refrigerated. Place the dough in a ball on a sheet of plastic wrap. Roll it into a tube shape, with the dough being approximately 2.5 inches in diameter. Wrap up and place in the fridge for a couple hours. Then roll the dough log in sugar, slice it in to cookies and bake! In a large bowl, combine dry ingredients until well mixed. Add vanilla and softened butter and mix well. Dough may appear crumbly. Place dough on plastic wrap and shape into a roll about 2.5 inches in diameter. Roll the dough roll in some granulated sugar to coat the edges. Then slice the dough into 1/3 inch cookies and bake on a parchment or silpat lined baking sheet for about 12 minutes, when the edges appear golden. Let cool on the baking sheet then transfer to a wire rack. I love sweet things with peppercorns! Thanks for sharing at the What’s for Dinner party! They may not be for everyone, which is good. More for me! 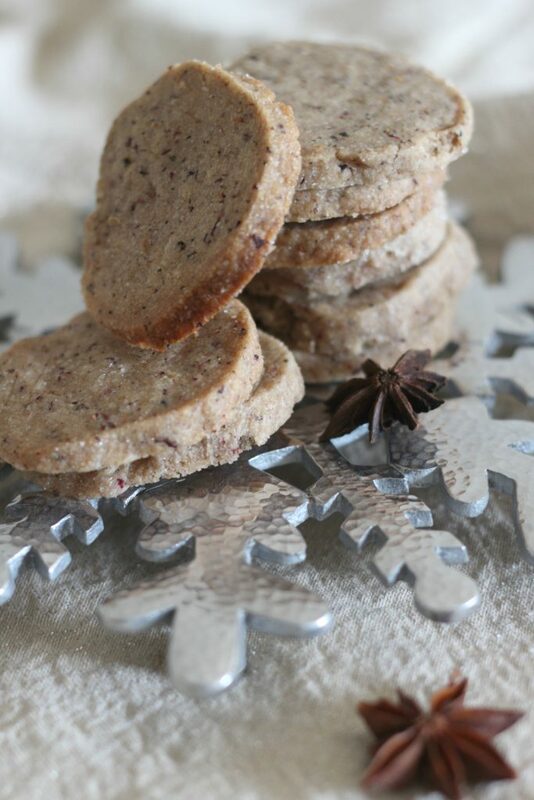 I will really enjoy your elegant Peppercorn Chai Shortbread Cookies! Hope you have a great week and thanks so much for sharing with Full Plate Thursday!